Contains various global definitions and XML file name and path defaults. Definition at line 27 of file main.h. Definition at line 31 of file main.h. Referenced by do_timeout(), and draw_magic_map(). Definition at line 19 of file main.h. Referenced by add_to_textbuf(), init_ui(), and set_text_tag_from_style(). Definition at line 64 of file account.c. Referenced by create_new_character(), do_account_change(), do_account_create(), do_account_login(), and send_create_player_to_server(). Definition at line 36 of file image.c. Referenced by config_check(), draw_inv_table(), init_choose_char_window(), and setup_list_columns(). Definition at line 40 of file map.c. Definition at line 39 of file map.c. Referenced by config_check(), draw_pixmap(), get_map_image_size(), init_image_cache_data(), map_button_event(), map_check_resize(), map_draw_layer(), and mapcell_draw_darkness(). Definition at line 44 of file map.c. Referenced by do_timeout(), draw_magic_map(), and map_init(). Definition at line 63 of file keys.c. Referenced by keys_init(), list_item_action(), on_entry_commands_activate(), and parse_key(). 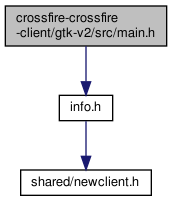 Referenced by hide_main_client(), init_ui(), and show_main_client(). Path to the current UI file.